Of the various methods of divination which have been a part of the Hermetic tradition down through the years, the art of geomancy has received the least attention in modern times. To some extent, this is surprising, since geomancy was among the most popular divinatory methods during the great Hermetic revival of the Renaissance. Henry Cornelius Agrippa and Robert Fludd, two of the most important writers of that revival, both produced works on the subject. So did John Heydon, that master plagiarist of the English Renaissance magical revival, whose Theomagia, or the Temple of Wisdome contains a wealth of half-jumbled geomantic lore rarely touched since his time. Astrology, with its much more extensive vocabulary of symbols, always played a more important role both in divinatory practice and in the symbolic discourse central to so much of Hermetic theory and practice. Still, geomancy also had a significant part in both these areas; it made use of a great many astrological elements for its own purposes, and it may have been more commonly used as a means of ordinary divination. The reason for this is not hard to find; where the erection of a horoscope (in the days before computers, at least) required a substantial amount of work and a solid grasp of mathematics, a geomantic chart could be produced by anyone willing to learn the fairly simple process involved. Like the rest of the Renaissance Hermetic tradition, geomancy went into eclipse with the coming of the scientific revolution, and was practiced only by a handful of students during the two centuries that followed. Like much of the rest of the tradition, too, it was dusted off by the adepts and antiquarians of the late nineteenth-century occult revival. 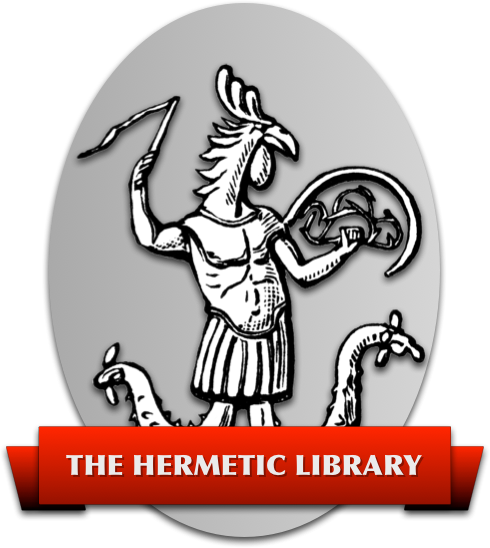 The Hermetic Order of the Golden Dawn, in particular, made geomancy an important part of its course of studies, and it was by way of this connection that geomantic divination has gained most of what exposure it has had in more recent times. Unfortunately, the version of geomancy practiced by the Golden Dawn was fragmentary at best. The Order’s founders were borrowers, for the most part, rather than creative thinkers, and their treatment of geomancy shows some of the less impressive aspects of the “pack-rat” mentality that pervades too much of the Golden Dawn material. The entire GD “knowledge lecture” on geomancy was based on a few out-of-context sections extracted from Heydon’s three-volume Theomagia. In their original context, these sections provided a general overview of certain aspects of the reading, and were meant to be supplemented and clarified by the much more extensive discussions in the remainder of the text. On their own, these portions of the complete system provide a badly distorted image of the process of interpreting a geomantic chart. These failings have been amplified by the fact that practically all later works on the subject have taken the Golden Dawn system (with or without acknowledgment) as their sole source, without reference to the other readily available sources — Agrippa and Heydon are only two of these — much less the extensive manuscript literature on the subject dating from the Middle Ages and Renaissance. The result has been the continuing eclipse of geomancy as a divinatory art. In most modern versions of geomancy, the interpretation of a geomantic chart is a matter of looking up cut-and-dried, arbitrary meanings from a set of tables: a sharply limiting approach at best, and one which offers far too little scope for the intuition of the diviner — which is, after all, the crucial factor in the whole process. Fortunately, though, the older methods have survived in detail in the medieval and Renaissance literature, and I have had the opportunity to work with elements of this material for some time now. The first fruits of that work, a translation of the medieval text Modo judicandi questiones secundum Petrum de Abano Patavinum, appeared in the Spring 1996 issue of Caduceus. What follows here, and will be continued in our Autumn issue, is something a little different. In this article I have tried to put together a workable manual of geomancy using the older and more functional methods of chart interpretation. Readers who have worked their way through the somewhat dense prose of last issue’s translation may recognize many of the same techniques at work here. My goal in this article is to present those techniques, and others, with as much clarity as possible, so that they can be put to use by modern Hermeticists and others interested in divinatory methods. Since the goal of this article is instruction rather than historical documentation, I have not hesitated to reshape these interpretive methods, where necessary, on the basis of my own experience with them. Nor have I given detailed sources for each technique; all source material will be given in the bibliography, which will be included in Part Two of this article. Geomancy is one member of a large family of divinatory methods founded on what modern mathematicians call binary or base-2 numbers. The most famous member of this family is the I Ching or Book of Changes, the most ancient and most important of the divinatory systems of China; in fact, the basic concepts of binary mathematics were introduced to the West by way of early translations of the Book of Changes. The principle underlying the whole family, though, can be seen in the simple “divination process” of flipping a coin. Certain random or quasirandom events can be used to produce one of two definite results; if meaning is assigned to the results, a clear answer can be found to any desired question. In the I Ching, six “heads” or “tails” produced by coins or yarrow stalks are assembled into a kua or hexagram, and each of the 64 possible hexagrams has its own complex of meanings, with “moving lines” adding an additional level of complexity. Geomancy, by contrast, makes use of a smaller vocabulary of symbols. In geomantic divination, four binary events - odd or even counts, generated through the processes of divination - make up a figure; there are thus 2 x 2 x 2 x 2 or 16 possible figures, which make up the basic units of meaning. These figures, with their most common medieval names and their basic meanings, are given below. They should be studied and, if at all possible, memorized, so that they and their significance come readily to mind; this greatly simplifies the process of divination. Other names: beardless, yellow, warrior, man. Meaning: rashness, violence, energy. Generally unfavorable except in matters of love and war. Other names: outward grasp, a thing evading or lost. Meaning: loss in material matters. Meaning: peace, wisdom, purity; a favorable figure, but weak. Other names: congregation, multitude, double path. Meaning: multitude; a neutral figure. Other names: inner help, protection going in, greater omen, inner honor. Meaning: great good fortune, especially for beginnings. Meaning: combination of forces, for good or ill. Meaning: beauty and happiness; a pleasant figure, but fickle. Meaning: passion, vice, fierceness, a hot temper. Other names: inner grasp, inner wealth, a thing picked up. Meaning: profit and gain in material matters. Other names: contricted, poor old man, lock. Other names: crosswise, diminished, head down, fallen tower. Meaning: sorrow, suffering, illness and pain. Other names: bearded, laughing, singing, high tower, head lifted, candelabrum, high mountain, old man. Other names: inner threshold, threshold coming in, upper boundary, high tree, upright staff. Meaning: beginnings and upward movement; a favorable figure. Other names: outer threshold, threshold going out, lower boundary. Meaning: endings and downward movement; an unfavorable figure. Other names: outer help, protection going out, lesser omen, outer honor, apparent honor. Meaning: good fortune, especially for endings; swiftness. Meanings: change, a journey, alternation between good and ill fortune. In the medieval handbooks of the art, the sixteen figures are classiÞed in a range of different ways. The most important of these, the division into favorable and unfavorable figures, is also the one where the various authorities disagree most extensively. Generally, though, Fortuna Major, Fortuna Minor, Acquisitio, Caput Draconis and Laetitia were considered favorable figures, while Career, Amissio, Cauda Draconis and Tristitia were considered unfavorable ones. Albus and Puella were seen as favorable but weak, while Rubeus and Puer were not so much unfavorable as violent and unruly, favorable for struggle but harmful in most other situations. Populus and Coniunctio were neutral, while Via was given the speciÞc effect of turning bad things to good and good things to bad. Another scheme divides the figures into two classes: direct, entering or stable figures - Acquisitio, Tristitia, Fortuna Major, Albus, Puella, and Caput Draconis - and reverse, exiting or mobile figures Amissio, Laetitia, Fortuna Minor, Rubeus, Puer, and Cauda Draconis. This scheme is of particular use in questions of time, and in weather prediction - once an important use of geomantic divination. Yet another scheme assigns the figures to the various symbolic systems of medieval astrology - planets, signs and elements. The planetary attributions are standard throughout the tradition. Caput and Cauda Draconis, in this system, are assigned respectively to the North and South nodes of the Moon, which played a much larger role in medieval astrology than they do in most current approaches to that art. Generally speaking, the North Node has some of the characteristics of Venus and Jupiter, the South Node some of those of Mars and Saturn. The attributions to elements and signs, on the other hand, follow a dizzying variety of schemes, most of them contradictory. The set used by the Golden Dawn, which is based on the planetary attributions, is found among them, and makes more sense than most; it will therefore be used here. In interpreting the figures, a good deal of latitude was given to intuition, and to the sort of symbolic thinking that treated the figures as images rather than fixed concepts. The relationship between the figure and the question also played a large role. Thus Tristitia, normally a figure of sorrow, had a positive meaning when it appeared in questions having to do with land, buildings or earth; this is partly because it is ruled by Saturn, partly because it is a direct or stable figure, but partly also because it appears to point downward into the earth. It’s possible to do a basic kind of geomantic divination by simply generating one figure by a random method - tossing a coin is as good as any - and reading the result as an answer. In traditional geomantic practice, though, a much more complex procedure was used. Although this does take more time, it allows the figures to give a great deal more information than a simple “yes” or “no”. The next four figures, the Four Daughters, are generated from the Four Mothers by a simple process. The First Daughter is produced by taking the head of each of the Four Mothers in order: thus the head of the First Mother becomes the First Daughter’s head; the head of the Second Mother becomes the First Daughter’s neck; the head of the Third Mother becomes the First Daughter’s body, and the head of the Fourth Mother becomes the First Daughter’s feet. In the same way, the necks of the Mothers produce the Second Daughter, their bodies the Third Daughter, and their feet the Fourth Daughter, as shown below. At this point a third process comes into play, to create what the medieval handbooks called the Four Nieces (in modern geomancy, the Four Nephews). To produce the First Niece from the First and Second Mothers, the points in the heads, necks, bodies and feet of these two Mothers are added together. If the number of points in the heads of the Mothers comes to an even number, the head of the Niece is a double point; if it comes to an odd number, the Niece's head is a single point. The same process is done with the rest of the two Mothers, as shown below. In the same way, the Third and Fourth Mothers produce the Second Niece, the First and Second Daughters the Third Niece, and the Third and Fourth Daughters the Fourth Niece. This additive process continues, giving rise to three more figures: the Witnesses and the Judge. The Right Witness is created in exactly the same way from the First and Second Nieces, and the Left Witness from the Third and Fourth Nieces. Finally, the Judge is created by adding together the Witnesses according to the same process. The result is shown below. At the end of this process, the complete geomantic chart has been produced, and the mechanical part of geomantic divination is finished. What remains is the interpretation of the chart, where the patterns that have come out of this first phase become bearers of meaning. The first and most important step in interpreting a geomantic chart is based on the relationships among the Witnesses and the Judge. Of these, the Judge itself is far and away the most significant, and it’s possible to get a fairly clear idea of the basic outlines of the reading by taking the Judge alone as a guide. If the question which has been asked can be answered with a “yes” or “no”, a favorable figure means yes, an unfavorable one no. A more complex question often finds its answer in more specific details of the meaning of the figure which appears as Judge. The two Witnesses, the figures from which the Judge is produced, add an additional level of meaning. A favorable Judge derived from two favorable Witnesses is made more positive still, while an unfavorable Judge derived from two unfavorable Witnesses is the worst possible sign. A Judge, favorable or unfavorable, which is produced from one favorable and one unfavorable Witness takes on a middle significance, representing a situation in which good and ill are combined. A favorable Judge coming from this combination often means success, but with difficulty and delay; an unfavorable Judge from the same situation often means failure, but with some mitigating factors. A favorable Judge which derives from two unfavorable Witnesses becomes unfavorable, although not extremely so; it often means a seemingly unfortunate turn of events which comes out for the best in the long run. An unfavorable Judge which derives from two favorable Witnesses becomes somewhat favorable, although it can often mean a success which has negative consequences in the end. In all cases, the meaning of the figures themselves should be carefully studied, as these provide the context in which these favorable or unfavorable indications take shape. There is also an element of time in these relationships. The Right Witness is said to represent the past of the question, the Left Witness the future, while the Judge represents the situation in its broadest sense, including past, present and future. Thus, for example, a favorable Judge derived from an unfavorable First Witness and a favorable Left Witness represents a turn for the better, in which past difficulties are left behind; the same Judge derived from a favorable Right Witness and an unfavorable Left Witness stands for a situation in which past and present successes will be paid for with future trouble. A pair of examples will help to make these relationships clearer. A chart which has Cauda Draconis for the Right Witness and Laetitia for the Left Witness will have Conjunctio as Judge. Cauda Draconis is an unfavorable figure, good only for loss or for passing out of a situation. Laetitia is favorable in almost any question. Under the influence of these, the Judge, Conjunctio, becomes a mixed or neutral figure, suggesting the coming together of positive and negative forces. Factoring in the element of time, this combination shows a pattern of events in which the querent has suffered losses in the past, but as a result of a combination of forces in the present, he or she may expect happiness in the future. Another reading, with Puella as the Right Witness and Albus as the Left, has Carcer for the Judge. Carcer is normally a sharply unfavorable figure, but under the influence of two favorable Witnesses it becomes somewhat favorable. Its basic meaning of limitation, however, does not change, and it represents a course of action which, while successful over the short term, places limits on what can be achieved in a broader sense. Puella and Albus are both somewhat passive figures, and the whole pattern suggests that the querent is taking the easy way out, and choosing happiness and comfort at the expense of his or her potential. Another of the classical methods of interpreting a geomantic chart is directed toward finding out the root of the question – the factor which, often unknown to the querent, is the driving force behind the whole situation. This is determined by a method known as the Way of the Points. The Way of the Points is traced out on the complete geomantic chart, starting with the Judge. Look at the first element, the “head” or Fire line of the Judge, and note whether that element is a single or a double point. Then go to the Witnesses, and see if either of these has the same first element. If not — if, as in the example above, the Judge has a double point and each of the Witnesses has a single point as its “head” — the Way of Points cannot be formed, and this suggests that the situation is exactly what it seems. If one of the Witnesses has the same “head” as the Judge, though, the Way of the Points moves from the Judge to that Witness. From here the same process is repeated, and the two Nieces which generate the Witness in question are checked to see if either has the same first element. If so, the Way of the Points goes to that Niece; if not, it stops at the Witness. From the Niece the Way goes to the Daughters or Mothers, depending on which Niece is involved, and once again the two figures which generate the Nephew are checked to see if either or both of them share the same first element. The figure at which the Way of the Points comes to rest, whether it be the Judge, a Witness, a Niece, or a Daughter or Mother, represents the root factor of the situation, and should be taken as a guide to the inner nature of the question and the true driving forces behind it. In Figure 5, which shows the entire process with a sample chart, the Way of the Points runs from the Judge to the Right Witness, to the Second Niece, and finally to the Fourth Mother, where it ends. The Fourth Mother, Carcer, is thus the root of the question, and limitations and restrictions are likely to play a large part, if probably an unnoticed one, in the dynamics of the situation. It’s entirely possible, as a result of this process, to find that the Way of the Points forks one or more times, and comes to a halt at several different places in the chart. In this case, the situation has several different roots, and each of these needs to be assessed in terms of its role in the situation. The remainder of this article, which will be in the next issue of Caduceus, will cover the use of the Twelve Houses, the relationships between the two significators of each reading, the company of figures, and traditional applications of geomancy such as finding lost property and predicting the weather.